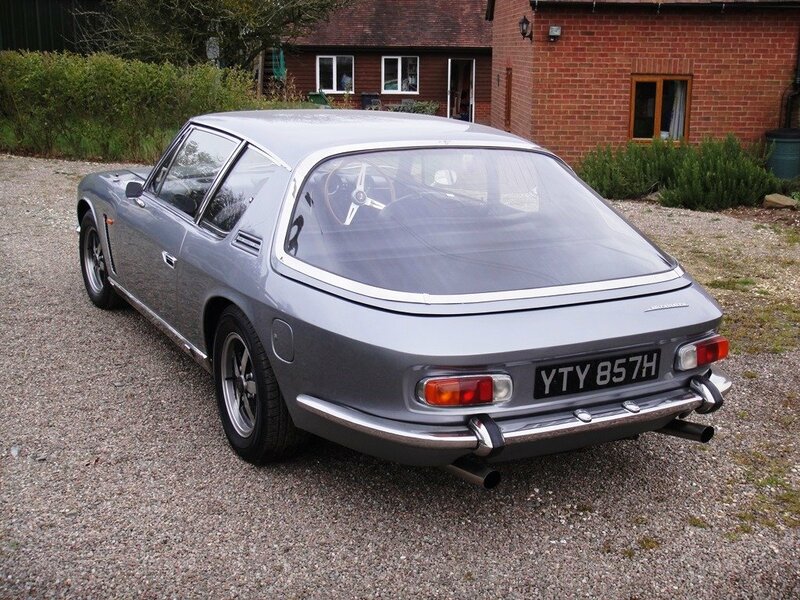 For sale is this wonderful, matching numbers, Jensen Interceptor Mk1 dating from August 1969. 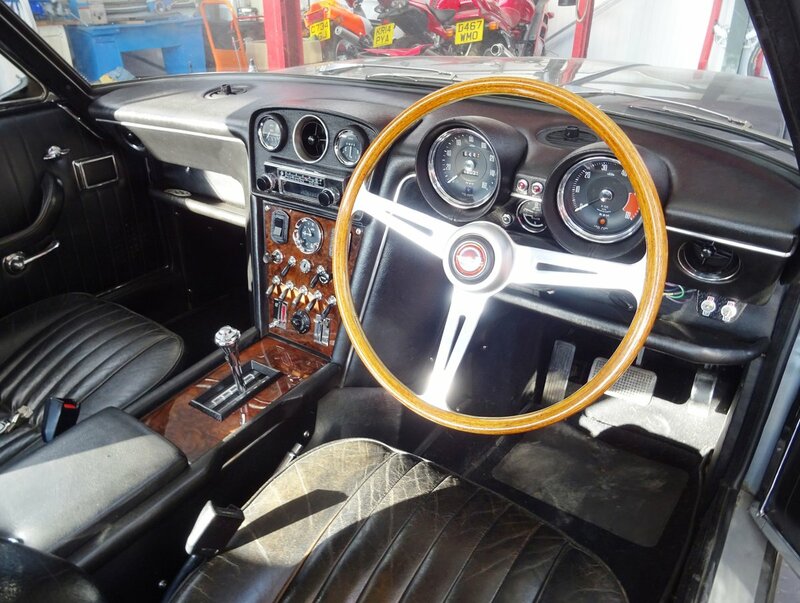 It is actually a Mk1.5, having all the mechanical upgrades (brakes, steering and suspension) introduced for the MkII, but retaining the beautiful ‘Italianate’ interior of the Mk1. 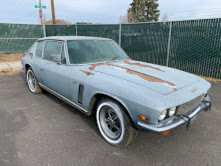 This is considered to be the most desirable of all the Interceptor versions, and very rare. It is listed on the Interceptor Mk1 registry website – chassis number 115/3520. I bought this car in 2013 at 45,190 miles. It now shows 48,031. During my tenure it has toured northern France and made several trips to Goodwood. It was chosen to appear in the paddock at the 72nd Goodwood Member’s Meeting in March 2014. The colour was originally California Sage when it left the factory, but was professionally resprayed in the mid-1980s to Porsche Sapphire Metallic (actually gunmetal grey) with original black leather interior. I have the colour code and a paint sample. I can even put you in touch with the engineer who rebuilt the car and resprayed it some 30 years ago. He supplied me with some photographs of the car undergoing restoration from that time which I have available. 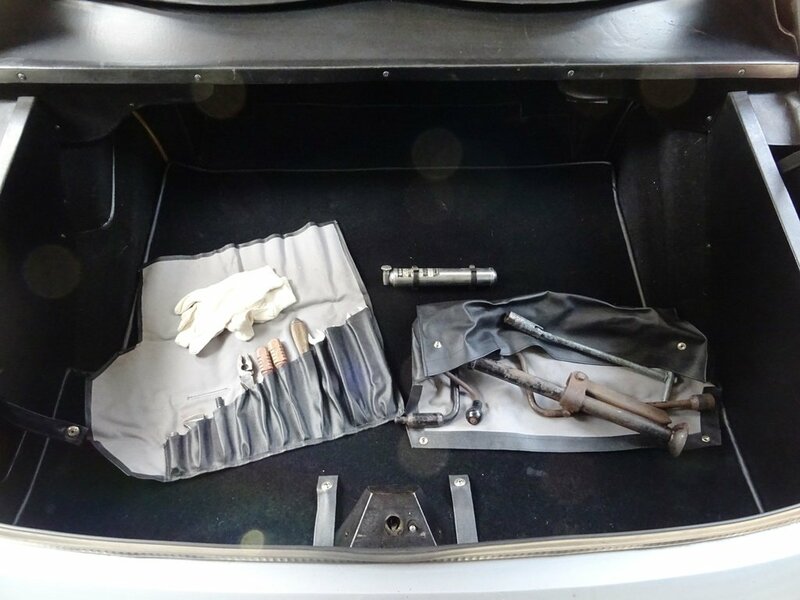 This vehicle is utterly sound and I’ll be pleased to remove the outer sill covers so you can inspect the inner sills and jacking points – all like new. The front subframe has none of the usual ‘jack dents’ in the underside, and the entire underfloor is rust free. Inside the cabin, there are black leather ‘cotton reel’ head restraints, a correct and functional rear view mirror incorporating the interior map light, and I have fitted correct new door strip seals to both the doors and apertures. The wooden panels for the fascia were re-veneered and varnished. All switchgear works correctly. 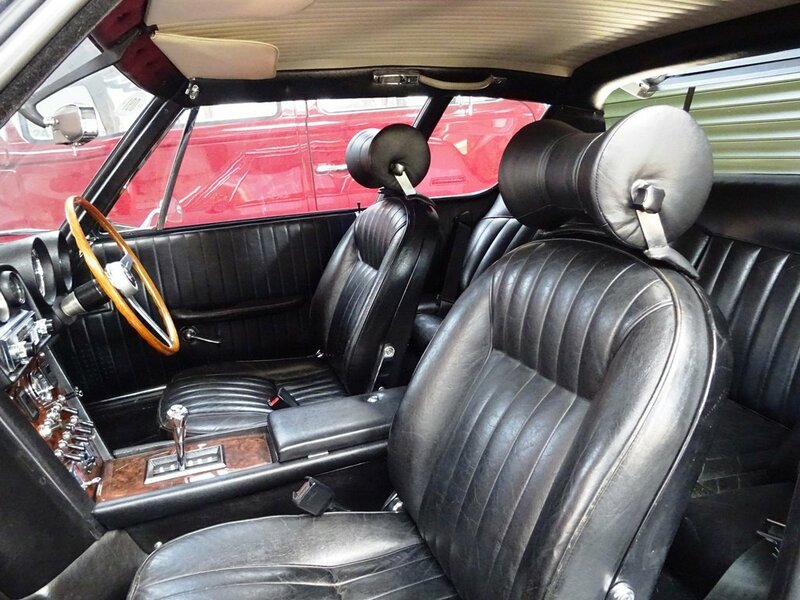 The car was originally specified with a Voxson stereo (evidenced by the star-shaped cut-outs stamped into the door cards and rear speaker switch) and comes complete with fully functional Voxson ‘Jensen flap’ 8-track unit. There is the correct fire extinguisher, first aid kit, jack and handle, plug spanner and tool kit – all rare as hen’s teeth. I even had the dashboard clock rebuilt – and it keeps good time! In the engine compartment, the bay lights are present and fully functional, and everything is original/correct except for the radiator and fans (see below) and the brake fluid reservoirs which were changed over 30 years ago for ones from a Lancia (go figure). Externally, there are a pair of period correct Cibie 90 spot/fog lamps wired into the correct dashboard switches. 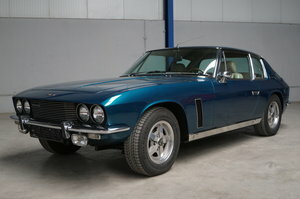 There is also a rare ‘Jensen Owners’ Club’ badge fitted on the radiator grille – in very fine condition. 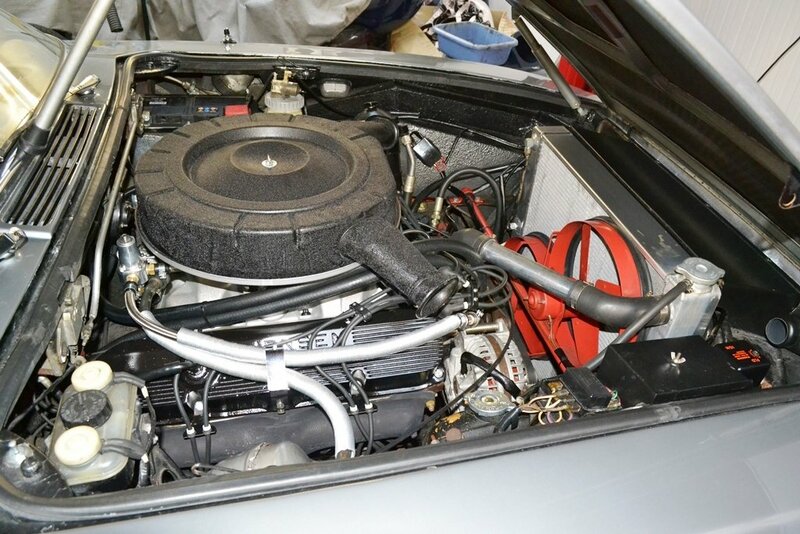 The engine is the original Chrysler 383 complete with the correct Jensen number stamped into the block. The heads have been changed for unleaded. It has had a new camshaft (comp cams), followers, push rods, rockers and shafts, valves and springs, and an Edelbrock ‘Performer’ intake manifold (original iron manifold supplied). I have photos showing the rebuild. Ignition is by way of original distributor fitted with a Pertronix ‘Ignitor III’ module and matching coil. This gives multi-spark throughout the rev-range and significantly contributes to reasonable fuel economy (20+). I have the original points etc to go with the car. The nylon cam wheel has been changed for steel and a new chain fitted. The Carter fb carb was rebuilt. I had an ally radiator fabricated by Radtec at Cannock (original radiator supplied). I’ve fitted upgraded fans, though still have the originals that are perfectly functional. The fans are operated by a variable speed controller unit. These combine to help keep the engine in a much tighter temperature zone. Original Torqeflite 727 fitted with enlarged ally sump with twin drain plugs. Original Salisbury limited slip diff. The half shafts and bearings were replaced before I bought it. Front shock absorbers have been renewed and ball joints overhauled. The power steering rack was replaced before I bought it in 2013. Wheel bearings were also replaced. Rear shocks are the original Armstrong ‘Selectaride’ that still function from the dashboard switch. Original Girling – all discs and pads replaced in recent years and in excellent condition. New brake master cylinder fitted. The car is also supplied with a set (5) of the later GKN alloys (with tyres) if you prefer the later, wider look. There is an owner’s handbook, workshop manual and parts catalogue, plus specific workshop manual for the engine, as well as a copy of Richard Calver’s Service Bulletins, Michael Cooper’s Jensen Days and a host of other marque specific manuals. There are many invoices showing the extent of investment over the past 10 years. Of real interest are the build notes in the history file. 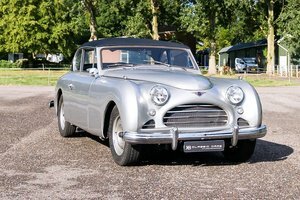 At the time this car was built, the company Managing Director was the American Carl Duerr – he ran the company from 1968 to 1970. He had the reputation (and good sense) to occasionally take cars for test drive before they were handed over to the customer. The build notes show that there was a test drive by ‘Mr C.Dueer’ following which he complained that there was a drumming and vibration from both exhausts. 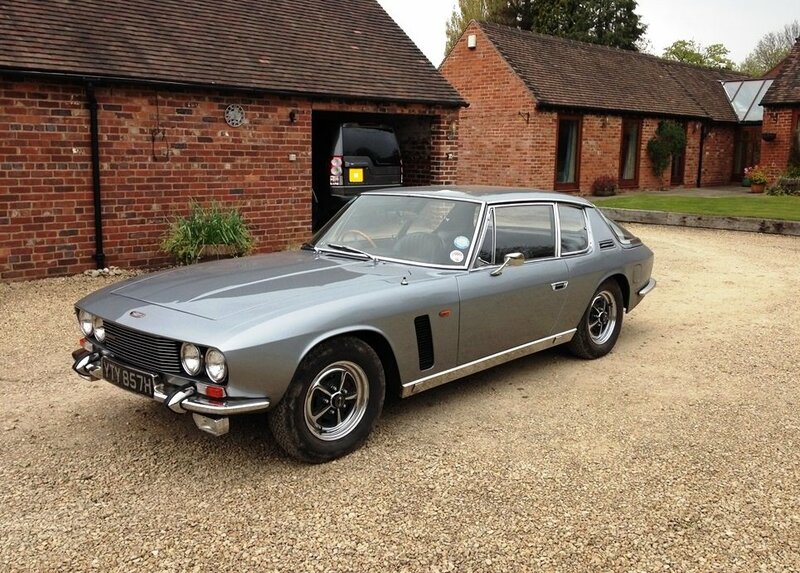 This is a much loved Interceptor in exceptional condition, ready to be enjoyed. I’ve had great fun with it, but a new aircraft calls…..